This year, Star Magic is currently celebrating its 19TH year birthday. And inline with this celebration, they launched an official theme song and music video for this famous Kapamilya talent center. But aside from the music video entitled "Ikaw Ang Magic ng Buhay Ko," Star Magic also celebrated its anniversary last Sunday in "ASAP Rocks" and in "The Buzz." In "ASAP Rocks," they gave us a fashion show featuring all the stars of Star Magic. 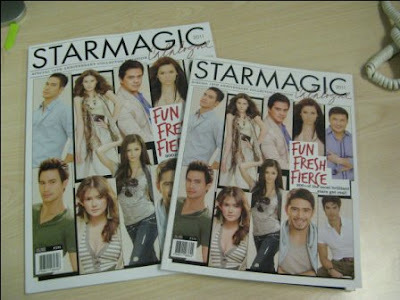 On the other hand in "The Buzz," they featured a trivia pertaining the foundation and achievements of Star Magic.